After an overwhelming response from fans in London, Marvel’s Avengers S.T.A.T.I.O.N. will be opening on May 17th in Cardiff at St. David’s Shopping Centre. The news follows a hugely successful run for S.T.A.T.I.O.N. in London, New York, Seoul, Paris, Singapore, Beijing, Taipei and Las Vegas - where it has set up a permanent exhibition. This highly anticipated multi-room exhibition offers fans of all ages the opportunity to delve into the super-workings and backstory of each member of The Avengers as they train to become an agent of the S.T.A.T.I.O.N. S.T.A.T.I.O.N. is an acronym for Science Training and Tactical Intelligence Operative Network, and is where guests can step inside the popular films and become part of the Marvel Cinematic Universe, whether trying to lift Thor’s Hammer or taking a sneak peek at Bruce Banner’s Lab. As part of their training, fans will get the opportunity to interact with props and costumes straight from the big screen. The Thor Observatory – dedicated to Thor Odinson, King of Asgard and son of Odin. Test your worthiness by attempting to lift a simulation of Thor’s Hammer, Mjölnir, view Thor’s outfits and study the universe and its current parameters using NASA’s EYE on the exoplanets program. Iron Man Engineering Bay – trainee agents have the chance to not only view Iron Man’s iconic suits but also play a virtual experience wearing Hulkbuster Armour! Ever wondered what Bruce Banner’s Lab looks like? Explore the Bio Lab transformation of Dr. Banner’s superior brain as he morphs into Hulk. Also, keeping up with the ever-expanding Marvel Cinematic Universe, Cardiff’s Marvel’s Avengers S.T.A.T.I.O.N. exhibition includes new character displays on Black Panther and The Wasp. The exhibition has provided a super-powered dose of science and technology by NASA to enhance the authenticity of the experience and pique visitors' interest in real-world science and technology. With comprehensive educational materials available for teachers, plus supporting materials created by Quantum Victoria, it is a thrilling learning experience for high school children to follow STEM pathways by amplifying the scientific themes and characters that are core to Marvel’s storytelling. Marvel’s Avengers S.T.A.T.I.O.N. 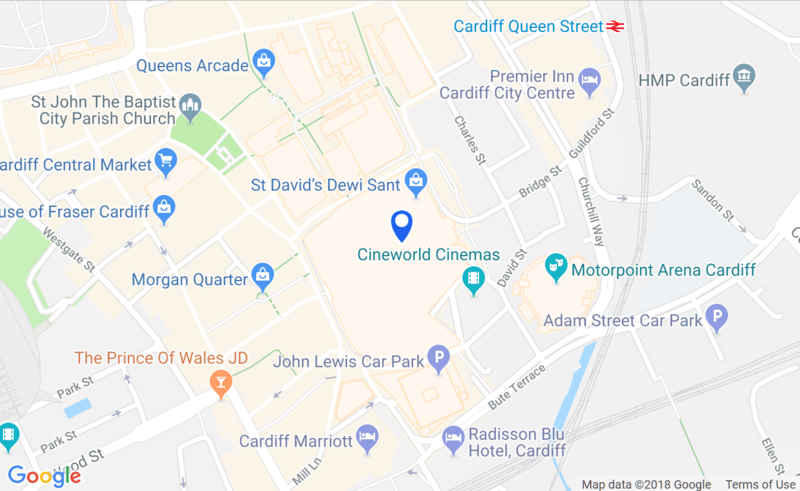 debuts a huge collection of Avengers movie-based props and interactive technology for a strictly limited time at Cardiff’s St. David’s Centre. There will also be the opportunity to purchase Marvel’s Avengers merchandise available for those with and without a ticket. Train like an Avenger and become an official S.T.A.T.I.O.N. Agent - CARDIFF Assemble Now! Tickets for Marvel’s Avengers S.T.A.T.I.O.N. at St David’s Centre will be available from 17th May - 9th September.